Surya rules and casts drishti into swabhava Simha-5 = 6th-from-Chandra agency of emotional conflict. 6th-from-Chandra and its denizens become agents (persons and environments) of accusation and betrayal. Economic activities (11) in general, and the father-figure in particular, become charged with the patterns of accusation and grievance. 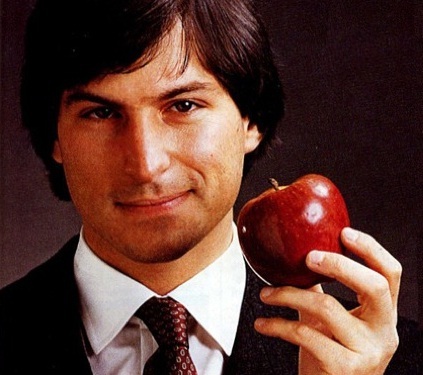 Jobs' bio-dad = Abdulfattah Jandali. As a grad student in economics, Jandali immigrated into the US from Syria. 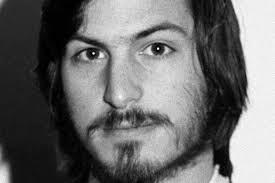 At the time of Steve Jobs' birth, Jandali was completing his Ph.D. in economics at the University of Wisconsin-Madison. Surya in Kumbha is primarily a transmitter (Arka) of electronic and economic systems. Arka loses some of the natural solar confidence due to the strict materialism of uttama-Shani-7. Bio-dad Jandali reportedly said that he had no interest in meeting his famous son and feared to be accused of seeking a reunion in order to get money from his offspring. Jobs publicly, contempuously disavowed the bio-dad. 8th-from-Surya typically represents the Next Father-figure. Because Surya-11-Kumba has no companion graha, only one father-figure is recognized. 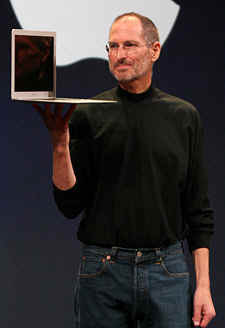 The recognized father is the adopted father, Mr. Jobs the repo man, represented by Kanya-6. In early infancy, the baby boy was adopted and named Steven Paul. The adoptive father who raised him securely if humbly was supportive if somewhat distant. The adoptive father was a modest rank-and-file worker = bhava-6-Kanya. Adoptive father's career = tow-truck driver and lock-breaker who is paid to repossess the automobiles of those who failed to repay their car-loan. Failed loan contract = 6. Surya-Kumbha = dad converted the garage of the family home into an electronics tinkering workshop for teenage Steven, who easily obtained parts from the warehouses of early-stage Silicon Valley. For a masculine nativity, sparkling Surya in the swabhava-swakshetra of Shani, may have economic genius paired with weakened confidence in one's ability to live by the bright light of Surya's divine truth. This placement often indicates dishonest male figures possessed of systems-connectivity intelligence but lacking confidence in their own personal integrity. Surya-Kumbha-11 may believe that unless one personally regulates (Kumbha) the revenue, rewards, earning, or profits, that one may be inauthenticated by the economic system. This system-gaming (Kumbha system; Surya gaming) behavior typically begins with the father (Surya pitrikaraka) and father's siblings (11 = 3rd-from-9) and extends to the male native. Jobs' bio-dad worked in casino gambling. Surya in bhava-11 in Kumbha may indicate attempts to express personal political, creative or dramatic genius (Surya) within a strict system-regulated economic transaction network (Kumbha) resulting in occasional acts of personal-override of the community rules, producing dishonesty in obtainment of marketplace revenues. Wikipedia, "According to Atari founder Nolan Bushnell, Atari had offered US$100 for each chip that was reduced in the machine. Jobs had little interest or knowledge in circuit board design and made a deal with Wozniak to split the bonus evenly between them if Wozniak could minimize the number of chips. Much to the amazement of Atari, Wozniak reduced the number of chips by 50, a design so tight that it was impossible to reproduce on an assembly line. At the time, Jobs told Wozniak that Atari had only given them $600 (instead of the actual $5000) and that Wozniak's share was thus $300 ." At the time of the birth of her son, the bio-mother was an undergraduate student in the same economics classes wherein the bio-father worked as a Graduate Teaching Assistant. Mother's needs determine the emotional core of the child. This mom need privacy, interiority, invisibility (12). Chandra-12 matrikaraka occupies the perpetual narrative 3rd-from-Budha = emotionally sourced talkativeness, often talking about phenomena of 12 including imagination, visionary scenarios, private experiences. 8th-from-Chandra can profile the Next Mother-figure. 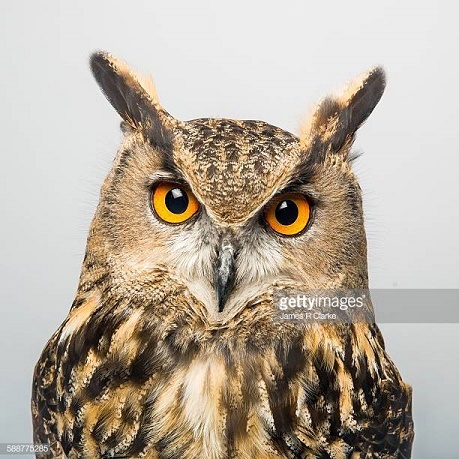 Conditions of the first marriage (to Ms. Brennan) sanctified by the birth of child, 1972-1978 = volatility exacerbated by Zukra-yuti-Rahu-Mula = disavowed, service-oriented, conflict, unsustainable promises, criminal accusations, deceit, poverty, injustice. Non-communication with bio-parents until reconnected with mom in adulthood. Well spoken toward adoptive parents = Chandra-12 bio-parents ++ Thula-7-uttama-Shani shows the adoptive parents as responsible, reliable, committed to the parenting relationship, and importantly identified as working-class citizens. Shani-7 powerfully structures his personality with discipline, lawfulness, and work toward equalizing society. The adoptive parents contributed a vital element of class identity which ensured that the later computer and phone appliances were seem as common people's normal possessions, not elite exclusive artifacts of the super privileged. Indeed the smartphones are found among persons rich and poor, all classes and cultures. This remarkable affordable connectivity appliance promotes social justice on a previously inconceivable scale. Comfort-seeking Chandra rules bhava-4 schooling. In the absence of graha in 4, bandesha in 12 = imagination is empowered and the conventional schooling energy is drawn into 12, an environment of research, studio-art, private meditation, and emotional wandering. 110th-from-Chandra === Zukra-yuti-Rahu in Dhanuzya-9 = 11th-from-11th. Mr. Jobs' roller-coaster career swung from ignominy and rejection toward fame and glory and back again. Risk-rewarding Rahu is a barrier-breaker and dissociative Ketu is a disperser. He had both. Jobs had many ups-and-downs in his storied electronics-design career, but he was most successful as a fiery preacher (Dhanuzya) hyper-promoter (Rahu) and designer (Zukra). Mangala-1 physical vitality, identity, hyper-competitive action. This push-me-pull-you pair indicates a tense, conflicted, and contentious personality. The immovable object (uttama-Shani) is placed in constant tension with the irresistible force (swakshetra-Mangala). The result = extremely productive, irascible, offensive, dominating, and brooks no resistance until Shani gains strength via transit or bhukti rulership. 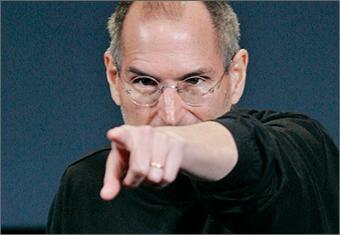 During Surya-Rahu bhukti in 2011, Mr. Jobs left his terrestrial body (age 56) following a siege of pancreatic cancer. Rahu-9 iconic preacher. His fleshdeath was reported and evaluated in the international news for months. Ketu-yuti-Guru Mithunaya-3 * vague, conceptual, philosophical, unclear, inaccurate, information about father, sacred doctrine, international view. Apathetic toward orthodoxy.